Actuality. Nowadays there is a tendency to change agricultural producers attitude to leguminous crops. First of all it concerns winter pea, chickpea, lentil and haricot. At the moment sown areas under haricot are being expanded mainly at the expense of the private sector. The industrial cultivation is insignificant and does not extend, mainly, because of too little knowledge in haricot cultivation technology elements in different agro-climatic zones. Lately the works dedicated to different aspects of the haricot cultivation technology have been conducted by Saiko O.Yu., Horova T.K., Cherkasova V.K., Akulenko V.V., Bakhmat M.I., Omae H., Kumar A., Egawa E. Along with this, effect of tillage depth, fertilizers and inter-row spacing on the haricot productivity under conditions of the energy and financial crisis has not been completely studied for the irrigated conditions of the South Steppe Zone of Ukraine, that determined necessity of the proper studies in the above-mentioned field. Methods of the studies. The research on the improvement of the elements of the cultivation technology of haricot beans in the south of Ukraine was carried out using a three-factor field experiment on the territory of the agricultural cooperative «Radianska zemlia» in Bilozerskyi district of Kherson region. The field experiments were repeated four times. The location of the variants was carried out using a split plot method with partial randomization. Factor A — basic soil tillage: tillage of 20-22 cm deep; tillage of 28-30 cm deep. Factor B – nutrition background: no fertilizer; N45P45; N90P90. Factor C – the width of row spacing, cm: 15; 30; 45; 60. The studies were carried out with accordance to the common methodology of the field experiments. Precipitation amounts during vegetation period of the crop were determined by using the rain gauge installed at the research plot. Temperature, air relative humidity were fixed by using the data of the Kherson regional meteorological station. Crop yields were established by using the method of entire harvesting. Grain yields data were recalculated to the standard moisture of 14% and one hundred percent purity. Yields data were estimated by using the agronomic criteria and statistically processed. The investigated elements of the cultivation technology of haricot beans when irrigated from the Ingulets main canal, its water belongs to the second quality grade (limited suitability), have a significant effect on the productivity of the crop. On average, in 2014-2016, the grain yields ranged from 1.47 to 3.37 t/ha. According to the results the cultivation of 28-30 cm deep ensured better conditions for the growth and development of haricot plants, which affected the level of its yield. On average, for the years of the research the implementation of this cultivation ensured the yield increase from 0.02 to 0.08 t/ha compared to the tillage of 20-22 cm deep. But these figures according to the conducted dispersion analysis are within the limits of the error (LSD(P<0.05) for the years of the research was 0,04-0,05 t/ha for factor A). The tillage of 20-22 cm deep ensured the yield formation of the crop of the varieties without fertilizers, on average, for the years of the research – 1.95 t/ha. The application of nitrogen-phosphorous fertilizers in the amount of 45 kg/ha of the active substance provided increase in the yields of haricot bean grain at the level of 0.41-0.78 t/ha. The increase in twice of the amount of active ingredient did not provide a similar increase in the growth of the grain yield. Under these conditions, the growth compared to non-fertilized variants was 0.54-0.78 t/ha, and compared to the previous variant it was only 6.1%. The analysis of the long-term data shows that the maximum productivity of haricot plants was fixed when the row width was 45 cm. When the row spacing was between 15 and 45 cm wide the crop yield increased, on average, from 1.79 to 2.97 t/ha when the tillage was 20-22 cm deep and from 1.81 to 3.04 when the tillage was 28-30 cm deep. A further increase in the width of the row spacing to 60 cm led to a significant reduction in the crop yield. Conclusions. The research conducted with haricot under irrigation with irrigation water of the second quality grade (the Ingulets irrigated area) during 2014-2016 showed that the highest productivity of the plants of 3,37 t/ha is formed when the tillage is 28-30 cm deep, the application of mineral fertilizers with the norm N90P90and the row width of 45 cm. Taking into account the conducted dispersion data analysis we maintain that the most suitable for the introduction into production will be the following elements of the agro-technological complex of cultivation of the crop, which will include tillage of 20-22 cm deep, the application of mineral fertilizers with the norm N45P45 and sowing with the spacing of 45 cm. These technological elements will provide haricot grain yield of at the level of 3.09 t/ha. 1. Babych A.O. Svіtovі zemelnі, prodovolchі і kormovі resursy. Kyyiv: Agrarna nauka, 1996. S. 147-271. 2. Mynyuk P.M. Fasol. Mynsk: Uradzhay, 1991. 92 s.
5. Lyhochvor V.V. Praktychnі porady z vyroschuvannya zernovyh і zernobobovyh kultur v umovah Zahіdnoyi Ukrayiny. Lvіv: Ukrayinskі tehnologіyi, 2001. 128 s.
6. Shlyahturov D.S. Urozhaynіst kvasolі zvychaynoyi zalezhno vіd tehnologіyi vyroschuvannya і pogodnyh umov. // Zb. nauk. prac NNC «Іnstytut zemlerobstva UAAN». 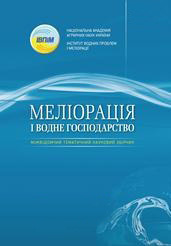 Kyyiv: 2008. Vyp. 334. S. 85-89. 8. Bashaby S.F. Osobennosty rostovyh processov u fasoly obyknovennoy (Phaseolus vulgaris) // Problemy razvytyya selskohozyaystvennogo proyzvodstva: materyaly nauchnoy konferencyy SNO agrarnogo fakulteta, RUDN (20-21 aprelya 2000 g.). Moskva: 2000. S. 40-41. 9. Sayko O.Yu. Dzherela dlya selekcіyi kvasolі ovochevoyi, prydatnі do mehanіzovanogo zbyrannya. // Ovochіvnyctvo і bashtannyctvo. 2012. Vyp. 58. S. 269-273. 10. Gorova T.K., Sayko O.Yu., Cherkasova V.K. Osoblyvostі formuvannya faz vegetacіynogo perіodu kvasolі zvychaynoyi. // Vіsnyk Centru naukovogo zabezpechennya APV Harkіvskoyi oblastі. 2014. Vyp. 17. S. 88-96. 12. Ovcharuk O.V. Agroekologіchna harakterystyka sortіv kvasolі zvychaynoyi ta yih produktyvnіst v umovah Zahіdnogo Lіsostepu. // Zbіrnyk naukovyh prac Umanskogo nacіonalnogo unіversytetu sadіvnyctva. 2014. Vyp. 85. S. 92-97. 13. Bahmat M.І., Ovcharuk O.V. Vplyv rіznoyi normy vysіvu kvasolі zvychaynoyi za shyrokoryadnogo sposobu sіvby na vrozhaynіst zerna ta ekonomіchnu efektyvnіst tehnologіyi vyroschuvannya v umovah Pravoberezhnogo Lіsostepu. // Kormy і kormovyrobnyctvo. 2016. Vyp. 82. S. 92-95. 14. Omae H., Kumar A., Egawa E. and other. (2007). Assessing drought tolerance of snap bean (Phaseolus vulgaris) from genotypic differences in leaf water relations, shoot growth and photosynthetic parameters. Plant Production Science. Vol. 10. R. 28-35. 15. Metodyka polovogo doslіdu (zroshuvane zemlerobstvo):[navchalnyy posіbnyk]. / Ushkarenko V.O. ta іn. Herson: Grіn D.S., 2014. 448 s.
16. Naukovі doslіdzhennya v agronomіyi: [navchalnyy posіbnyk] / Ushkarenko V.O. ta іn. Herson: Grіn D.S., 2016. 316 s.
17. Dyspersіynyy і korelyacіynyy analіz rezultatіv polovyh doslіdіv: [navchalnyy posіbnyk]. / Ushkarenko V.O. ta іn. Herson: Aylant, 2008. 372 s.